June is an amazing month to visit Eureka Springs. Our small, Victorian village nestled in the heart of the Ozark Mountains provides everything you need for your summer vacation. Families love to get to know the haunted history of Eureka Springs. The Ozark Mountains provide a background of beauty and a few great ways to beat the heat in Eureka Springs! June is also a great month for one-of-a-kind festivals and events in the Eureka Springs area. Don’t miss out on these great June events! If you love cars, be sure to swing by the Eureka Springs Mustang show at Pine Mountain Village. If not, you will be sure to spot classic Ford Mustangs all over Eureka Springs! There is even a Spring Street parade of cars at 4pm on June 3rd. Let the car show come to you! 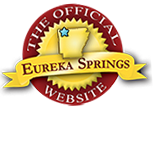 The much-loved Annual Eureka Springs Blues Weekend returns to Eureka Springs from June 15-18th! This local favorite features local, regional and national Grammy Award winning blues artist. CLICK HERE for a complete list of artists and to PURCHASE TICKETS. Opera in the Ozarks returns to Inspiration Point this June! What began in 1950 as a summer music camp, has evolved into a mecca where university students and graduates in Voice, Instrumental Music, and related arts come to prepare for professional careers, a place where opportunity, music, artist and audience meld with the beauty and splendor of the Ozark Mountains. Don’t miss this years performances of Le nozze di Figaro, Susannah and Carmen. CLICK HERE for more information and tickets. This entry was posted on May 18, 2017 by service424 in Attractions, Eureka Springs Lodging, Family Fun, Festivals, Fun Downtown, Road trips, Things to Do, Weekday Getaway and tagged blues festival, Eureka Springs, june, mustang show, opera in the ozark.